On this page you can find all the Bitcoin Exchanges and Trading Platforms which allow the exchange from Alipay to Bitcoin and other crypto currencies. There are specific reasons why you want to use Alipay to purchase Bitcoin. You might know a friend who lives in China and believes that Bitcoin trade is better there; or you live in the region in which having an Alipay account is more convenient than PayPal. Whatever your reason is, I am here to point you to the right direction. As you might have noticed, these are trading websites where you can personally purchase Bitcoins from a person that wants to sell their fair share. A quick look into LocalBitcoins.com website and I found out that Alipay is widely used in people that currently reside or from China. Alipay is a specific payment method that is being used and is widely preferred by people living in that region. With the listed websites above you can trade with someone from China or a person who uses Alipay. Please be advised that rates would definitely be different from seller to seller, choose the best seller with good reviews. 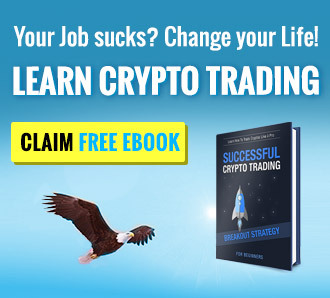 Reviews help a lot in trading when it comes to Bitcoin trading websites. Let us move forward to exchange websites that actually accept Alipay as payment. I tried to look for familiar websites that accept Alipay to purchase Bitcoins but no luck. I have however found a Chinese website that has been accepting Alipay since day one. My apologies as I am unable to show you a screenshot of the payment method being accepted since you need to have a Chinese ID in order to go through and continue. The website I was talking about would be Btcchina.com and they have been accepting Alipay payments since they started operation. You can read more about this website accepting Alipay payments through this link. The only advantage I can see when using Alipay is the regional location you are in right now. If you are not within the region that accepts Alipay as a payment method aside from purchasing Bitcoins, then I strongly suggest to use PayPal instead. Alipay is an alternative payment method when it comes to purchasing Bitcoins but is not that flexible when it comes to other website choices for people that are not in the region. If you think that Bitcoin market is better in China, then you might want to brush up with your Mandarin and get yourself an account with Alipay. This is because they do act as their local “PayPal” and is widely used without any problems at all. If you have do not have an account with Alipay and you do not need one to purchase Bitcoins, then do not make an account. If you do have an account and you want to purchase Bitcoin using it, then follow the provided suggestions above!